From May 6-14, the National Film Board of Canada’s The Grasslands Project will have its world premiere in a series of screenings in villages and towns across the southern prairies. Created by filmmaker Scott Parker, along with NFB executive producer David Christensen, The Grasslands Project is a collection of 10 short films exploring one of the most accessible, but least known, of all the regions in Canada. Alberta screenings are Friday, May 6 at 7 p.m. at the Magrath Museum, Saturday, May 7 at 7 p.m. at Coutts Civic Centre and Sunday, May 8 at 2 p.m. at the Foremost Community Hall. 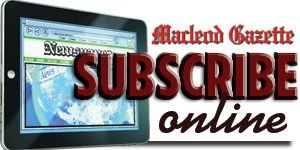 Participating communities in Saskatchewan are Val Marie, Rockglen, Radville, Gravelbourg, Wood Mountain and Eastend. 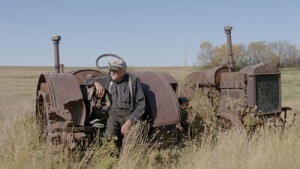 To make The Grasslands Project, Parker worked with a camera and sound package uniquely suited to a single filmmaker operating in the field, with his editing suite set up in the small Saskatchewan town of Eastend. Parker lived there for six months while shooting and editing the films and spent about two months in his “mobile production unit” ― a specially equipped pick-up truck. Subjects, themes, even interview questions were all conceived with significant community input, and each film was screened with the participants to get their feedback before the picture was completed. In addition to directing these 10 films, Parker also held 12 community media workshops that were attended by journalists, librarians, historians, prospective actors, indigenous youth, agriculture insiders, bloggers, youth with complex physical disabilities, teachers, students, and federal inmates. The project also included local folklorist and writer Kristin Catherwood, who was instrumental in clarifying the ideals behind it and helping workshop participants understand the relationship between place and story. Films are titled A Rancher’s View; No Other Place; Homecoming; Life Out Here; The Last One; Generations; Population 21; Val Marie Hotel; After the Fire; and Les Fransaskois. The Grasslands Project is the latest in the NFB’s long track record of innovation in community-based film initiatives, from the early days of travelling NFB projectionists, to the pioneering Challenge for Change, which became a model for participatory filmmaking the world over, to sustainable NFB initiatives underway in Canada’s North and groundbreaking collective interactive experiences. The Grasslands Project will launch on-line later this spring at NFB.ca.